I feel so proud of myself in that I didn't let this post sneak up on me. Not really. I remembered but still had the heck of a time getting a good pic of this pair of earrings. Most of my problem is that one of the major details is on the bottom. It's that a gorgeous violet? It's a lampwork headpin from Dry Gulch. But see what I mean? 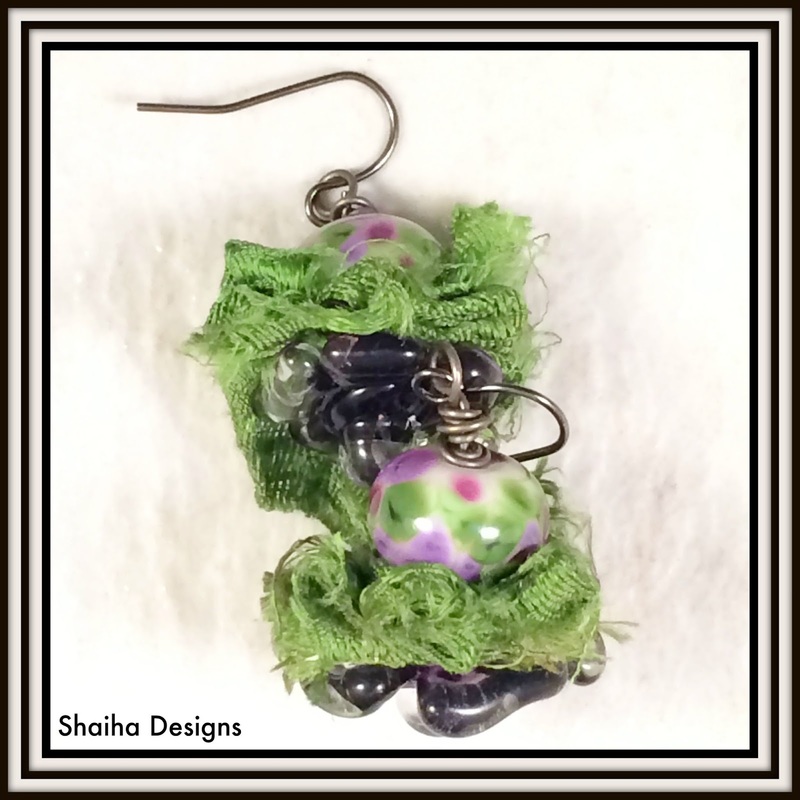 Here's a pic of the whole pair with the lovely flower highlighted by sari silk and lampwork beads. Still not the best pic. Any hints anyone on how to get a good pic of this pair? This next pair was much easier to photograph. 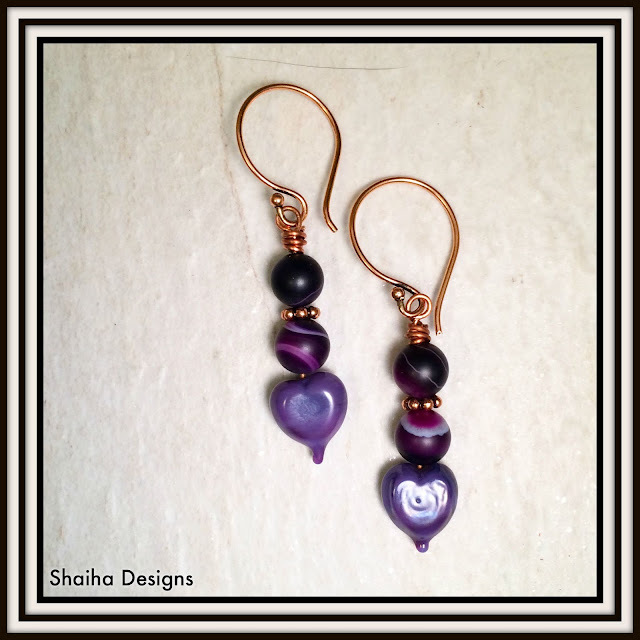 Beautiful lampwork hearts from EarthShine Beads in the UK, dyed agate beads and copper findings. I find that copper and purple is such a rich combo of colors. Hmmmm...I must have been in a purple mood. 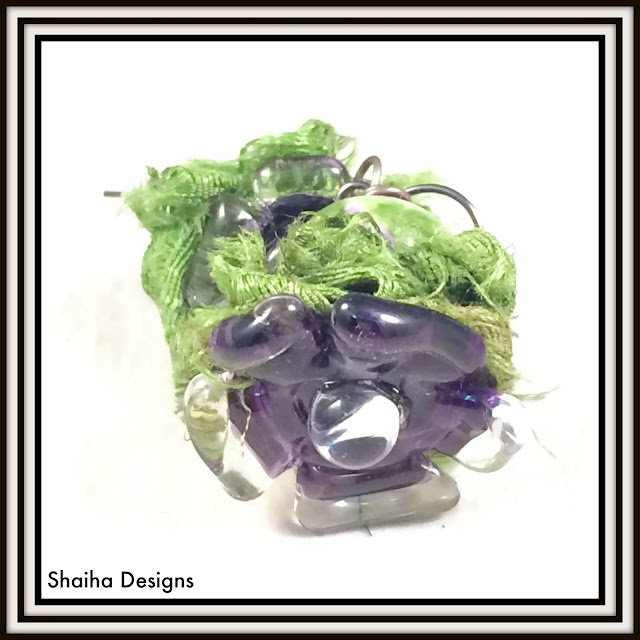 Not usually a color that I really work with a lot but come to think of it, I made a necklace in purple just last Wednesday though it will have to wait for the grand reveal. Those purple flowers are so unusual...very cool, but I see the issue with trying to get the best photo. That second pair is really sweet too. You were indeed in a purple place this week but it works! Thanks for playing along with me!